Born in Scarborough, John comes from a family with a strong artistic tradition going back several generations in Ryedale. His father was a talented and well-known landscape painter and from earliest days John drew and painted from this landscape. John completed a foundation course in art in Scarborough in 1976, studying under Malcolm Burn who was a great inspiration. He then went on to complete a degree in Fine Art Painting in Manchester in 1979. 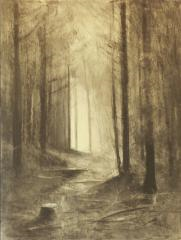 Whilst in Manchester John met and was enthusiastically encouraged by the landscape painter Keith Grant. ‘As a child I roamed this land through woodland, meadow and thicket. Along lost shadowed tracks bye ways, and no ways. Often staying out until the stream glittered in the moonlight and the path through the woods was a winding band of starlight overhead. This landscape lives deeply in my soul. 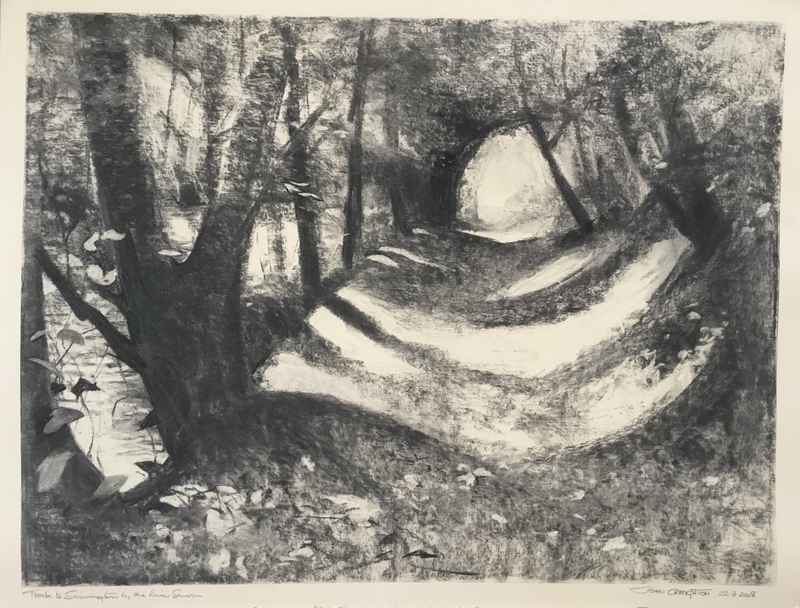 The charcoal landscape drawings were made during an intensive period of working over the summer of 2017. These pieces represent doorways to a dimension of mystery, to a source that has no name, that lives and breathes through all things. It will be through these doorways that I will continue to pass as my work goes on to explore this inexhaustible creative source. I hope that you can find some of the joy, mystery and excitement in this work as I did in its making’. 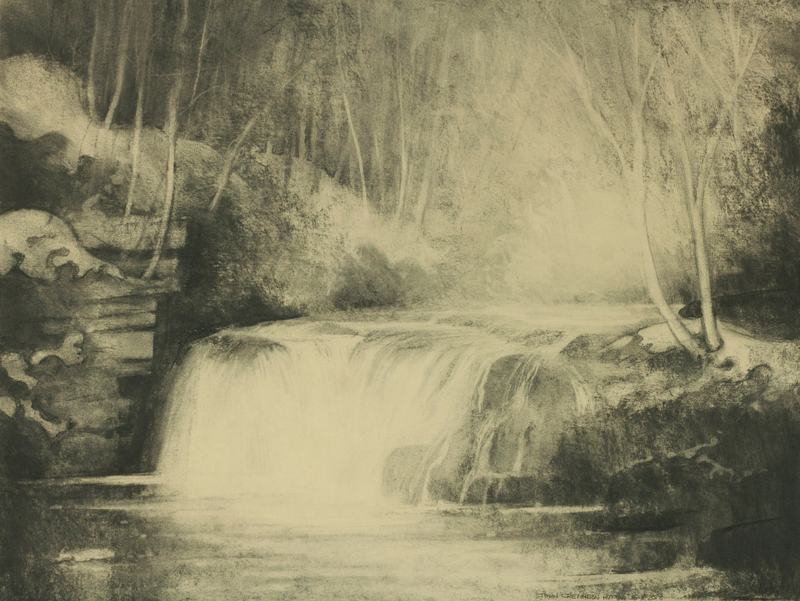 John works from his studio in Ryedale, exhibits widely and continues to develop his artistic vision.